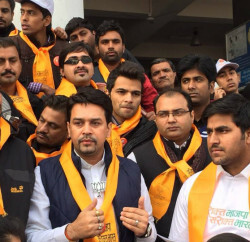 Agitated over the statement of Dehra BJP legislator Ravinder Singh Ravi on Gorkhas, in which he had advised state Govt (during Assembly session) to deploy Girkha and Naga regiments in Himachal Pradesh, Gorkha communities has demanded his suspension from the state assembly. While protesting at Dharamsala, the Gorkha community burnt Ravi’s effigy of and also demanded an unconditional public apology from him. 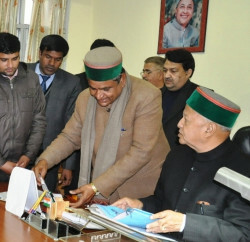 The representatives of the community also submitted a memorandum to governor of Himachal Pradesh Urmila Singh, Chief Minister Virbhadra Singh, speaker of the state assembly Brij Bihari Lal Butail, BJP national chief Rajnath Singh and state party president Satpal Singh Satti and demanded strong action against former cabinet Minister. 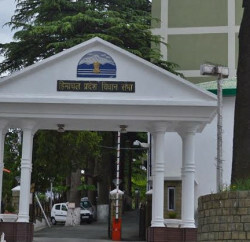 Protesting Gurkha communities has expressed shock over his statement and terming the statement as racist jibe against the Gorkhas.